Antarctica has often been said to be one of the last, unexplored frontiers on Earth. 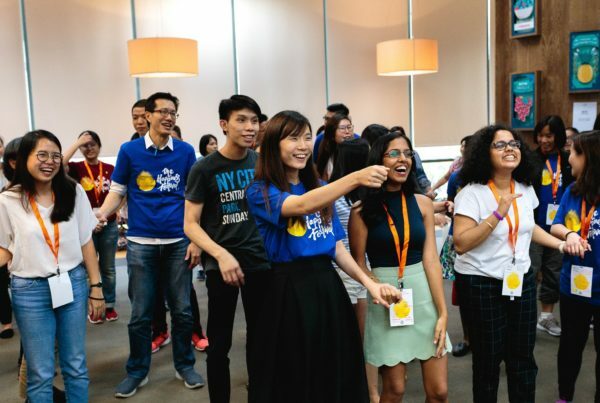 In late February 2018, our founding curator Anthea Ong embarked on a once-in-a-lifetime journey along with 90 other changemakers from 22 countries. 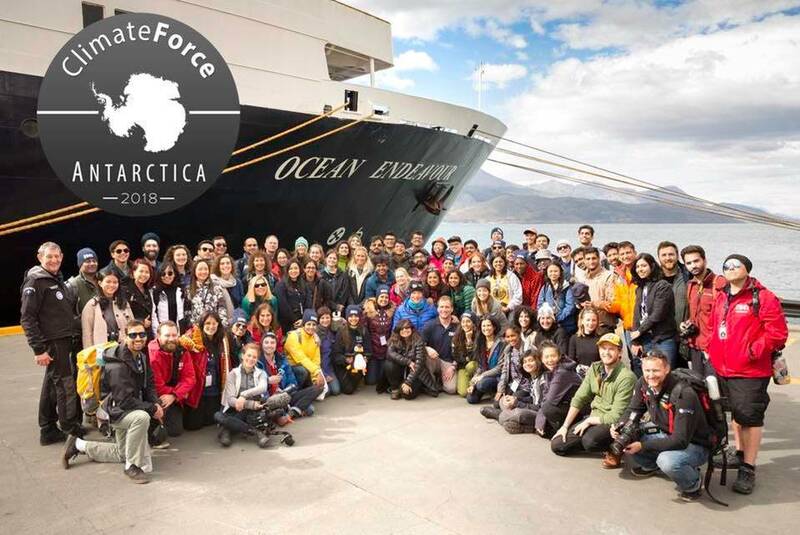 They were selected to join the 2041 ClimateForce Leadership on the Edge Antarctica Expedition led by world-renowned explorer, Sir Robert Swan, the first person to walk to the North and South poles. After a month long odyssey; first spending 2 weeks in Antarctica and then trekking solo through the wilderness of Patagonia for another 2 weeks, she returned home safely with lots of exciting stories to share. 40 of us gathered around on a cosy Saturday afternoon as she shared her biggest discoveries and why Antarctica is crucial for climate change, peace and the future of humanity. The Expedition was part of the 2041 Foundation, which seeks to protect Antarctica as a land for Science and Peace and continue the re-negotiation of the moratorium on mining in Antarctica, which is set to expire in 2041. It also hoped to inspire the next generation of leaders to take responsibility to preserve our Earth for generations to come, especially in realizing the ambitions of the 2016 United Nation’s Paris Agreement to hold global temperatures below 2 degrees above pre-industrial levels. 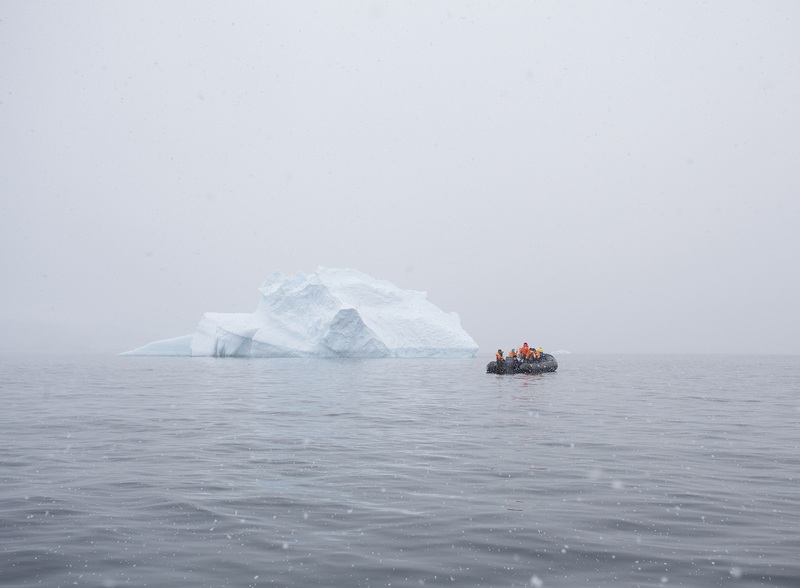 A diverse group of explorers came on board the expedition, including documentary makers, futurists, scientists, corporate social responsibility professionals, bankers, human rights activities, entrepreneurs and more. While each of them championed different causes, all shared the same passion for climate change. 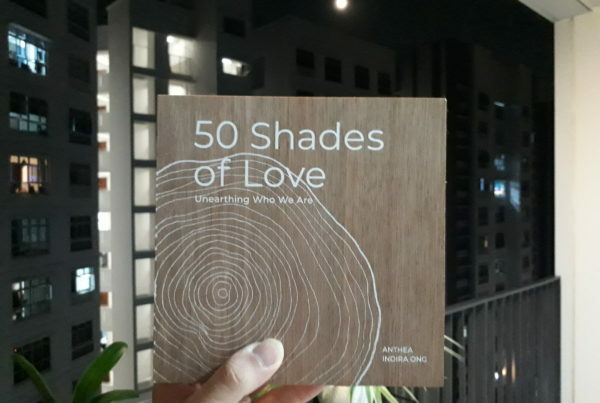 Anthea chose to champion the cause of self-care and mental wellness, believing that we must first talk about personal change and take time to connect with ourselves. “We can then translate this inner change into action, whether it is climate change or positive social change” she said. 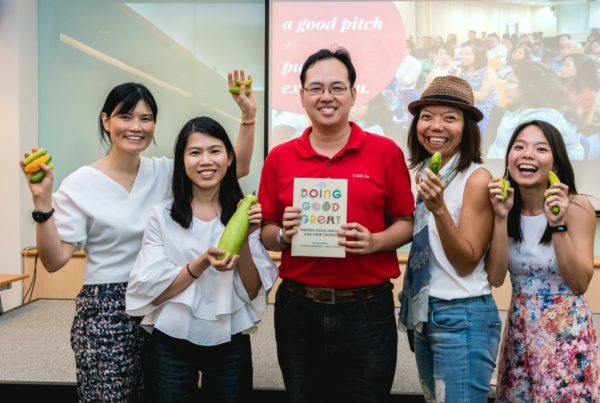 A pleasant surprise occurred before the trip when she learnt that she would be joined by two other amazing Singaporean women: Jessica Cheam, managing editor of Eco-Business, a media organisation that reports on sustainable development and singer-songwriter Inch Chua. Both had won a place on the expeditition in a contest held by City Development, in which they had to propose solutions for climate change. The journey began on 28th February 2018 from Ushuaia, the southern most city in the world, by ship. To reach Antarctica, one has to first go through the perilous Drake Passage, one of the roughest seas in the world, where waves can go up to 30 metres high! To make matters worse, the ship of over 200 people, travelers and crew included, got caught in a storm and started rocking up and down, experiencing waves up to 5 metres high. Although still relatively mild by the Drake Passage’s standards, it had a devastating effect on the travelers on board. 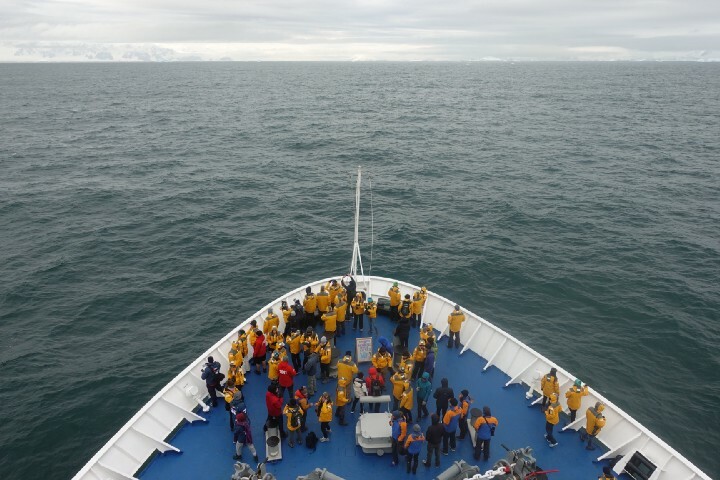 Almost 70% of them came down with serious sea-sickness, too feeble to get out of bed after all the vomiting and nausea, a condition that they had to endure for 3 whole days (the duration of the journey from Ushuaia to Antarctica). “People were rocking up and down, even in their beds! My poor cabin mate was a little shorter and she kept being thrown about her bed by the waves,” recalled Anthea, whose height helped to keep her fixed in place on her bed. Interestingly, Anthea survived the ‘Dreadful Drake’ without taking any medication. In her pre-trip research, she discovered an ancient remedy of chewing ginger to combat the nauseous feeling of sea-sickness. Come join our mailing list to be notified of inspiring articles and meaningful activities at A Good Space! 98% of the entire continent of Antarctica (which is twice the size of Australia) is ice and almost 61% of all fresh water on Earth is held in the Antarctica ice sheet. If we were to allow for mineral extraction and for people to live there, the entire composition of the continent would change. If the ice in Antarctica melted, global sea levels are expected to rise up to 60 metres! When this happens, the ones most affected are not us in developed countries (as we are likely to have resources to move somewhere else) but the ones in vulnerable communities, living in low lying countries along the coast, such as China, Vietnam and Indonesia. They do not have the resources to move elsewhere, let alone sustain their livelihood, since many of those affected would also be farmers or fishermen. “So protecting Antarctica from mineral extraction and human population is beyond just a nice symbolism of peace on Earth. There is a severe impact if the ice caps melt,” shared Anthea. “In 2041, I’ll be 73 but I’ll still go with my fellow 2041 ambassadors to lobby the United Nations to make sure the treaty to prevent mineral extraction and human population is renewed!” she said with a laugh. Besides learning from the lectures on the ship and from her fellow travelers, Anthea also learnt a lot from the animals of the Arctic, or ‘human whisperers’ as she affectionately calls them, in reference to the lessons they whispered into her ear. From the Penguins, she learnt resiliency. “Penguins don’t give up easily. They’d fall over and get up each time with the crashing waves, no matter how many times they need to do that,” she recalled. She connected deeply with the wisdom and godliness of the whales, graceful giants of the ocean, 2 of which came so close to her boat and completely mesmerized her into silence. It’s been said that whales are Earth’s record keepers for all time and the whispers of wisdom came through to Anthea, connecting her to the larger history of humanity, beyond this current form. 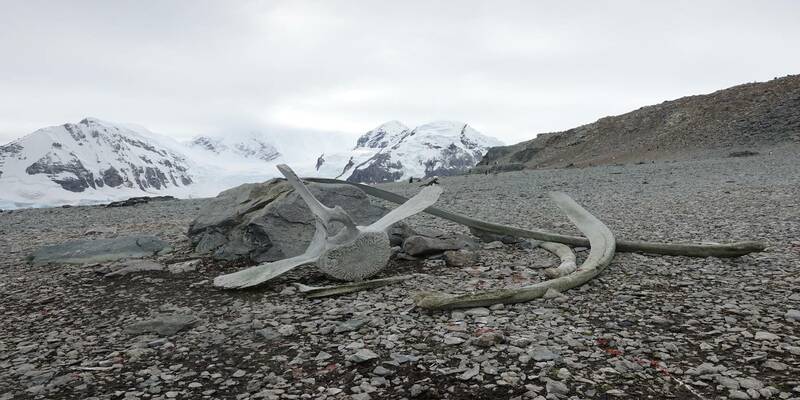 She also got to see remnants of whale hunting, which was a huge industry for a long time, causing the whale population in Antarctica to dwindle to dangerous levels. 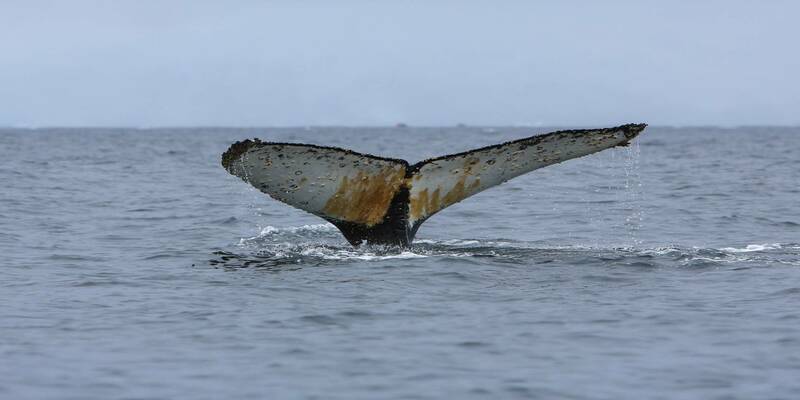 Whale oil was used to light lamps, bones used to make corsets during Victorian times and the baleen of a whale used in the same way plastics are being used today. “Ironically, the invention of plastics had actually helped to save the whales in a small way as they replaced baleen,” she shared. Anthea also learnt about two innovative ways that countries around the world are using to manage the levels of carbon dioxide (CO2) in the atmosphere. First, there was the concept of Carbon Capture and Storage (CCS) — a technology that can capture up to 90% of the carbon dioxide (CO2) emissions produced from the use of fossil fuels in electricity generation and industrial processes, preventing carbon dioxide from entering the atmosphere. The CO2 captured then gets stored in facilities deep underground. Alongside existing efforts like utilizing solar power, CCS is another potential means to mitigate the contribution of fossil fuel emissions to global warming and ocean acidification. “It opened my eyes to all the various ways that scientists, environmentalists and even oil companies like Shell are working together to help humanity stay within the terms of the Paris Agreement,” said Anthea. With over 90 participants flying in from all corners of the world, the carbon footprint (amount of CO2 released into the atmosphere) of the expedition was considerably high. Being conscious of this, the 2041 Foundation pledged part of the fees collected for the expedition to non-profits supporting climate change related causes and also to buy carbon credits. Carbon credits are a permit which allows a country or organization to produce a certain amount of carbon emissions. If they do not use the full amount, they can trade it to other countries or organisations who are producing over their limit. 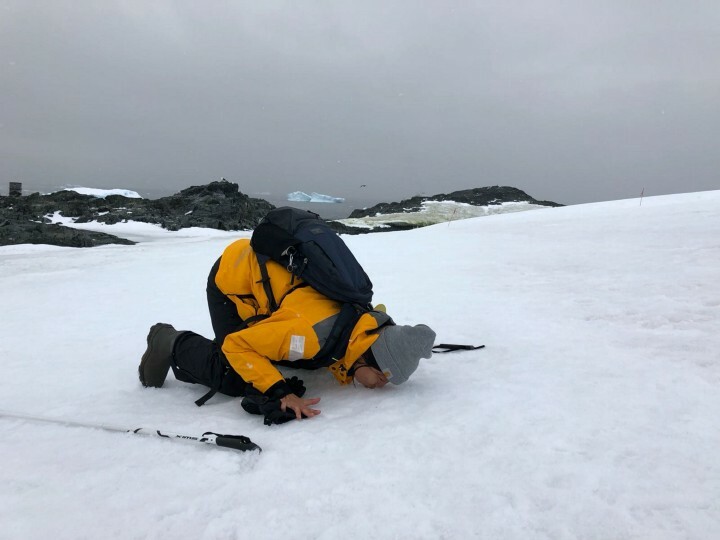 Anthea also had the opportunity to do the famed polar plunge — jumping into the frigid, bone-chilling waters of the Antarctic ocean. “The doctors weren’t worried about you catching a cold, but more of your heart stopping from the intense cold,” she shared. As someone who grew up with a fear of drowning, the experience proved to be a moment of spiritual growth for Anthea. Eventually, she took the jump and even though it was biting cold, a sense of peace and calm enveloped her. 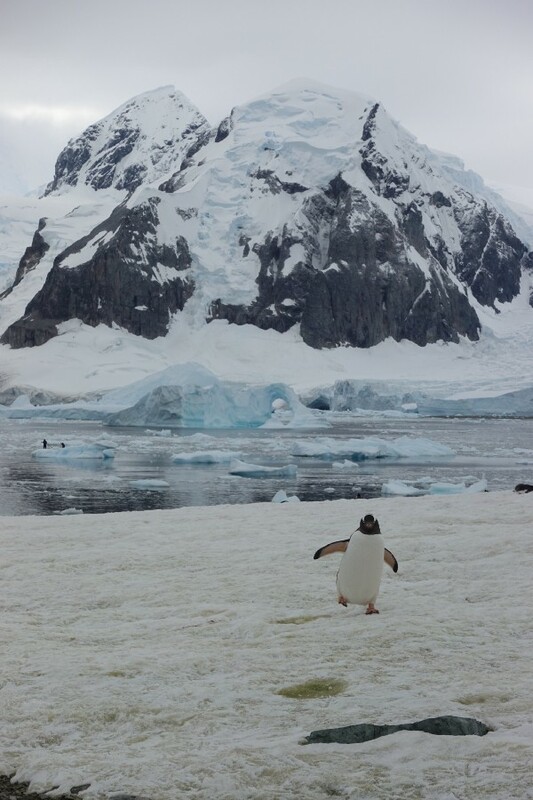 Although she travelled a great distance externally (from Singapore to Antarctica) during the Expedition, Anthea feels she travelled even further within. From her interactions with her fellow travellers to the animals she saw, there were many moments for inner reflection and spiritual growth. Climate change is not an abstract concept for the tree huggers. It actually affects all of us. “You don’t have to be an environmentalist or advocate. We can all think about how we can practice sustainability and consciousness in our everyday lives!” she concluded. Enjoyed this article? Join our weekly newsletter to be notified when new articles are published! We’ll also share innovative events, talks, films, social experiments and workshops organised by our partners at A Good Space! Be the first to know about exciting upcoming events, talks, films, social experiments and workshops organised by our partners at A Good Space. We’re giving away $1,000… again!